Months of stakeholder meetings and public engagement by MassHealth has resulted in a long-awaited draft proposal that aims to completely restructure the state’s Medicaid program. Known as the Section 1115 Waiver, the 90-plus page document outlines a possible multi-year agreement with the federal Centers for Medicare and Medicaid Services (CMS). The focus of the proposal is a move towards accountable care organizations (ACOs) and alternative payments while better addressing the needs of MassHealth members and putting in place a financially sustainable system of health care and support services. Before the agreement can be made with CMS, however, there is a public comment period that runs until July 17th. The Home Care Alliance created a breakdown of the proposal so that members and advocates can better understand the key provisions. MassHealth also provided a more basic fact sheet available on their 1115 Waiver Proposal webpage that also includes the full document and slide decks from previous public meetings. The proposal attempts to seize an opportunity for new funding streams to support the creation of three types of ACOs that are required to partner with existing providers of behavioral health (BH) and long-term services and supports (LTSS). The state aims to rearrange provider and managed care relationships to set forth a better coordinated and integrated set of networks. The first “pilot ACOs” are expected by MassHealth to come online later in 2016, while the full roll-out of the three ACO models, enhanced funding, and BH/LTSS integration will take place in October 2017. The Alliance was appointed to several of the MassHealth stakeholder groups and plans to submit comments on the proposal on behalf of home care. After years of advocacy with the legislature and working collaboratively with MassHealth, the Home Care Alliance proudly testified at a public hearing on proposed remote patient monitoring (RPM) payment rates and regulations this week. Alliance Legislative and Public Affairs Director James Fuccione commented that reimbursement for RPM will strengthen the ability of home health agencies to carry out their mission of keeping people healthy at home and commended MassHealth for including a broad definition that will allow agencies to be creative in their use of the service. Dana Sheer, NP of Partners Healthcare at Home, also submitted comments in support of RPM and offered recommendations on clarifying language. 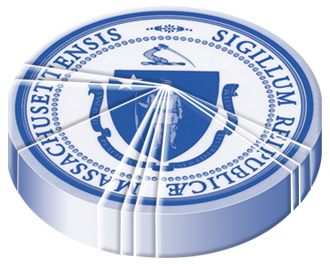 The Alliance asked for clarification on a number of points, including whether an “installation/removal” fee of $50 would be paid by MassHealth for both or on each end of the set-up and removal of RPM equipment. HCA suggested that the fee be raised to $75 and paid on both ends. Additionally, the Alliance asked for guidance on how to proceed when multiple patients in the same setting could benefit from RPM services. Comments from the Alliance suggested that RPM could go a long way in assisting patients with behavioral health and substance abuse issues as well. In his testimony, Mr. Fuccione raised the ongoing concern regarding MassHealth rates for nursing, therapy, and home health aide visits, and urged MassHealth to expedite a review and update of those rates. He noted that the Alliance has had several recent meetings with MassHealth staff focusing on that very subject. However, the hearing was centered on the tele-monitoring proposal and the Home Care Alliance is thrilled to have spearheaded the push for reimbursement. Massachusetts is one of only a few state Medicaid programs with financial support for RPM, which will be effective this November. MassHealth explained at the hearing that they expect a savings just within the home health program of $1.4 million. The Alliance’s comments are available here and more updates on any changes MassHealth may make based on our comments will also be sent to member agencies. Advocacy Alert: Email State Reps to Gain Support for Home Care in the House Budget! The Home Care Alliance has been busy working with state representatives to file amendments to the recently released House version of the state’s FY16 budget. Now that those proposals are submitted, it is time to gain crucial support by asking other reps to cosponsor these amendments. Agencies and advocates can send an email through HCA’s Advocacy Center just by clicking on the message, filling out the contact info form, and hitting “send.” The message will automatically shoot off to the correct Representative based on the address you enter. Private pay home care agencies can send their own message for just the Study Commission language here, or a message can be sent for all the Alliance’s priorities here. Any questions can be directed to James Fuccione at the Alliance. The House Committee on Ways & Means released their version of the state’s fiscal year 2016 budget with most accounts important to home care level funded. Out of the $38 billion in the proposed budget, $15.3 billion is spent on MassHealth, the state’s Medicaid program. Since language proposed by the Home Care Alliance to establish a commission to study options for agency oversight was not included, the HCA will be working with state representatives to file amendments to the budget for a number of items, including establishing commissions to study and make recommendations on state oversight options for private pay agencies and certified agencies. The Alliance will also be seeking an increase of $3.1 million in payment rates for home health aides as well as a restoration of MassHealth home health nursing rates. The Alliance will also be supporting a number of budget amendments spearheaded by other organizations to raise home care worker wages, seek relief from the impending paid sick time mandate and restore the line item funding the Nursing and Allied Health Education Workforce Development program. Additionally, the Alliance will support efforts to increase funding for elder home care purchased services from Aging Service Access Points. The House Ways & Means budget reduced that line item from what the Governor proposed earlier this year by more than $3 million. Stay tuned as the Alliance will be sending out advocacy alerts on how agencies and advocates can urge support of these important issues. As expected, the House and Senate Chairs of their respective Committees on Ways and Means will co-chair a six-member conference committee that will work out the differences between the House and Senate budget plans. The House-approved plan calls for $36.32 billion while the Senate plan was set at $36.4 billion. Although they are similar in terms of total amounts, there are some important differences in both funding support and policy changes. The Home Care Alliance sent a letter outlining those differences as they pertain to home care services in a letter to each conference committee member. This language was passed in the FY14 budget and allows MassHealth the policy support necessary to continue work on establishing rates and guidelines for home telehealth services. Home Telehealth involves remote vital signs monitoring equipment. This service offers immediate cost savings by reducing the frequency of home health visits paid for by MassHealth, along with reduced hospitalizations through improved medication adherence, patient self-management and timely follow-up care. Approved by a unanimous roll call vote in the Senate, this amendment increases pay by approximately $.75 cents per hour for homemakers and personal care homemakers serving clients enrolled in the Executive Office of Elder Affairs Home Care Program. This language and corresponding funding would support the study of the cost-effectiveness of state-funded home and community-based services.